I went with a simple glitter gradient and stamping look tonight since I will be working at the climbing gym all weekend and my nails will definitely chip! 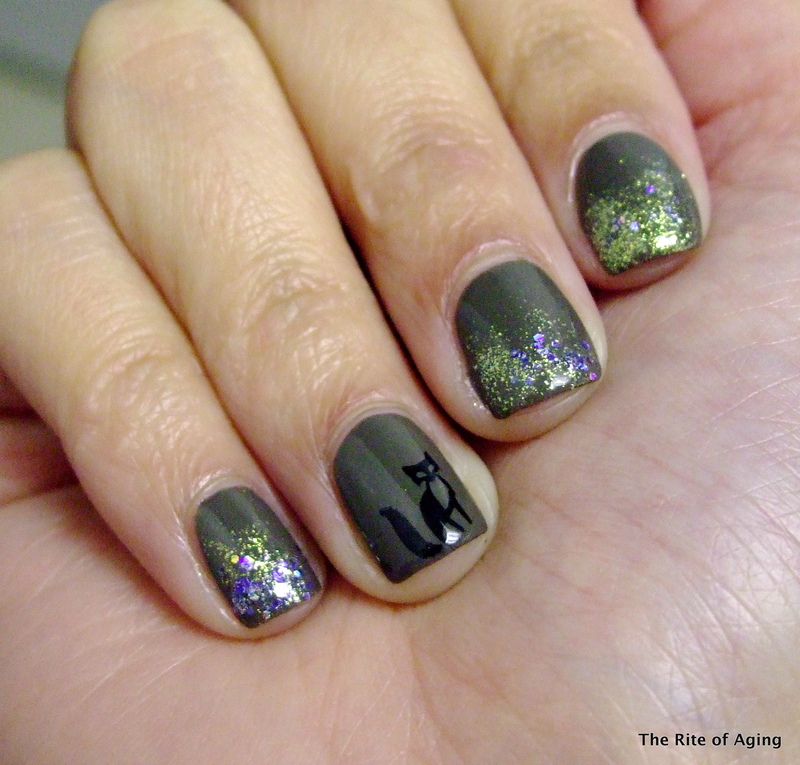 Glitter gradients are extremely arthritis-friendly looks because they don’t take a lot of precision or dexterity! Aw aw, I ❤ this! Thank you! I am really happy with how the stamping came out recently!